to store and prevents your belongings from piling on top of each other and potentially being damaged. 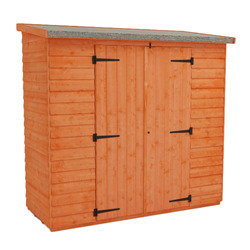 Find out more about our Double Door Storage Sheds range. 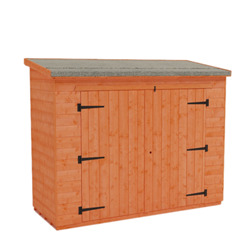 Providing plenty of room for garden gadgets, our double door storage sheds are ideal if you’ve got lots of tools for maintaining your green spaces. 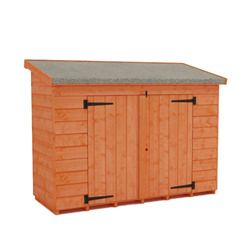 Whether you need a short, wide shed for storing bikes, or something taller that will house wheelbarrows and lawnmowers, we’ve got the perfect option for you. 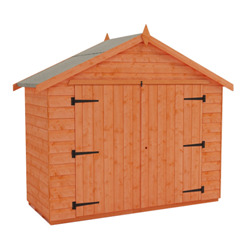 We use durable timber to construct top quality sheds that are able to withstand wind and rain. You can also rest assured that the extremely secure lock and key system will keep your items safe and give you peace of mind. Thanks to our methods of manufacturing, our wooden sheds have ample ventilation which prolongs their lifespan and makes them a reliable, long-term investment. To keep your shed in line with the overall tone and aesthetic of your garden, you can customise it when you order, choosing something that reflects the character of your garden as well as offering smart storage space. 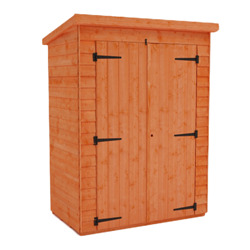 Our double door sheds can be delivered free of charge to most of GB mainland postcodes (exclusions apply).